Well it's back to school for the girls after 10 days off for Spring Break. I'm not sure what to do with myself today. I guess it's back to work for me. Today I have one last little tidbit to share with you on the organizing front. This is not really an organizational tip but more of a "making the most of your supplies" tip. I've had these Studio Calico Butterfly Chip Shapes + a few other tag shapes in my stash for a while now. I use them quite often and I still have lots of them in my stash. Some of the colors are just not ones that I reach for that often. So I decided to give my chipboard a makeover. 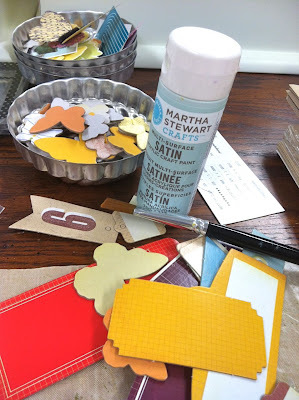 Using some Martha Stewart paint I grabbed my chipboard and went to work. I painted all kinds of shapes to give them a fresh new color. What I thought would take 2 coats of paint actually took 4 coats. I think if I would have sanded the chipboard first the paint would have went on a little thicker the first few times. The end result was a whole new stash of chipboard shapes. I found that I reached for them quite a bit because I just love the new color. Here's a little butterfly that I stapled to a Project Life journaling card. And here's a whole stash of tags that I made for cards & shop packaging. 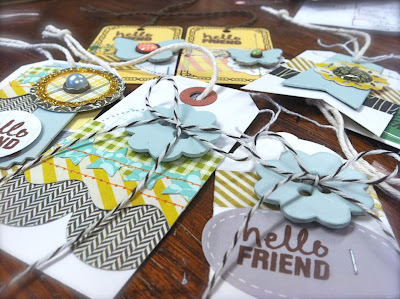 You can see all my new tag styles in the shop. I love the dimension that chipboard gives to projects. 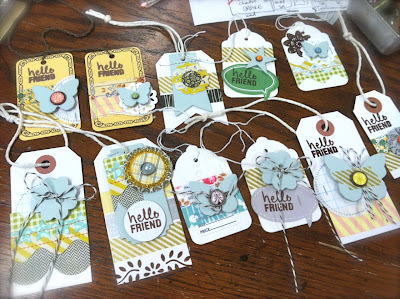 I used pop dots to raise them up even more on a few tags. And that's it for today. Last night I went on a major purging mission in the craft room. I have 3 big boxes ready to be taken outta there. Feels so good to actually have drawers and cubbies with nothing in them. I'm going to keep at it today keeping the "less is more" mentality as I go. Have a great week! 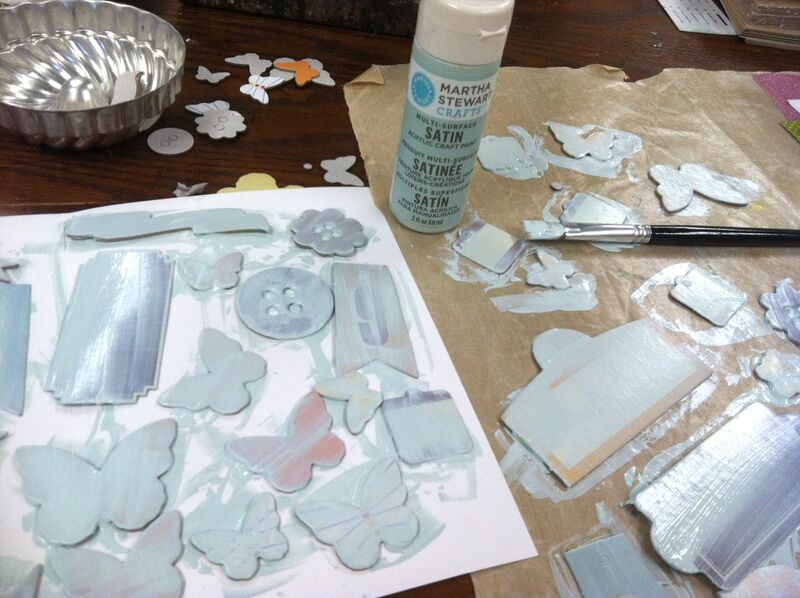 A quick coat of gesso would help you out with painting over unwanted colors, text, and images. It coats even glossy surfaces pretty well. It dries quickly, so a second coat doesn't have to be time consuming. Then one layer of paint would probably do the job. Thank you for sharing the idea. I have a ton of chipboard rectangles with words I will never use, so I think I'll be painting, stamping, and embellishing them this week. Thanks for all of your tips, Mish! 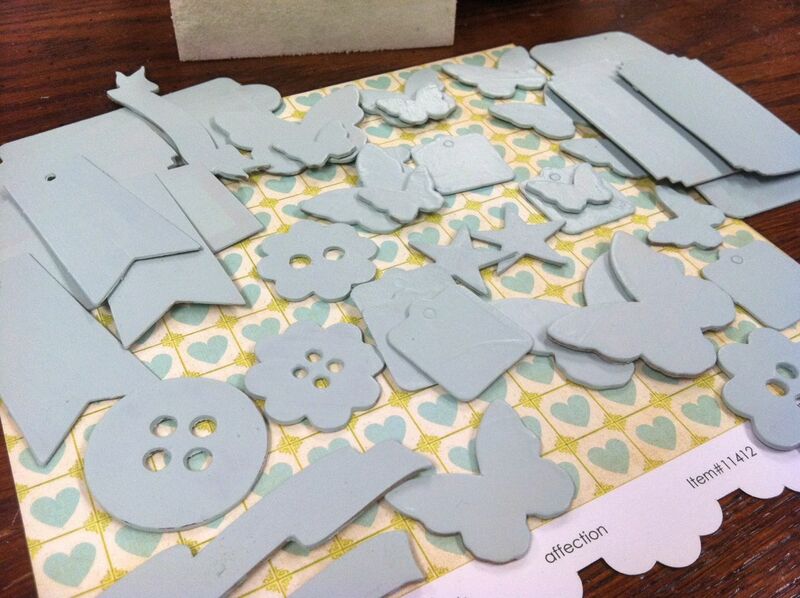 I just got a new set of cute chipboard shapes that are textured. Yesterday I coated some with gesso, and then sanded them a bit...now I just need to put them to use! Great tips! I have accumulated lots of chipboard elements that are hard to work with because of their colors. Martha Stewart Peral paints are great - coverage is excellent, and the limited color selection is very pretty. I have been painting styrofoam eggs with pearl paint - the glittered eggs from Jo Anns and Michaels - they look great. I liked the size of the eggs but not the glitter and vivid colors. M S Pearl paint works well on wood and chipboard. 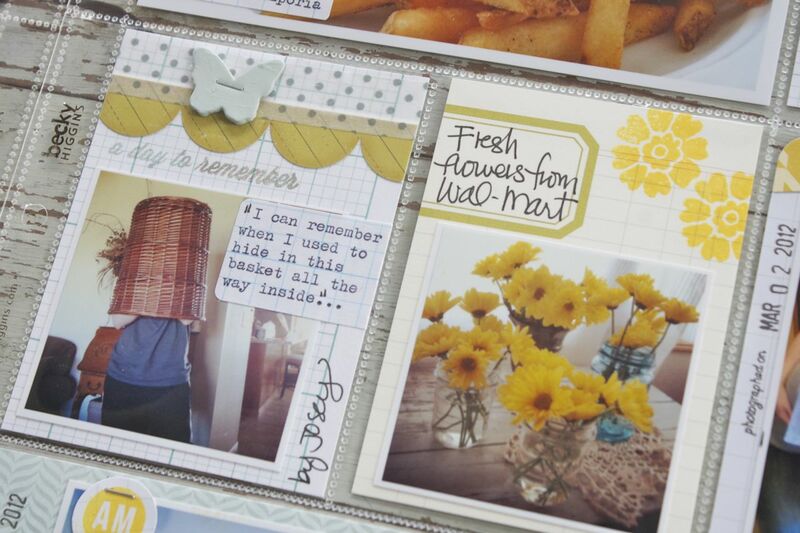 Great tip on re purposing these chipboard pieces. Your tags are just perfection!!! Super cute! I'm going to a retreat this weekend and that would be a fun thing to work on! I've been remaking chipboard since I read your post and mentioned the gesso step. Since then I have discovered that if I peel off the top layers of the chipboard piece, it takes one coat of gesso and one coat of paint (or two if the color is more transparent). It is also textured nicely :) If I pull the tops off cleanly, I then have the original image as well, which go into the kids' bin. I also have some word-shape chipboard, the kind where the letters are somewhat defined, but when painted the text is lost. I take those and cut them in half lengthwise to get some interesting artsy shapes. Dye inkpads also work well to color the gesso chipboard pieces. What a great idea! I have some chipboard letters that are just the right size, but not the right color or anything else!! Will definitely do this!